Charmeuse Solid is a lightweight semi-lustrous silky fabric with a satin finish to the front, and a dull finish to the back. It is very soft yet durable and drapes beautifully. 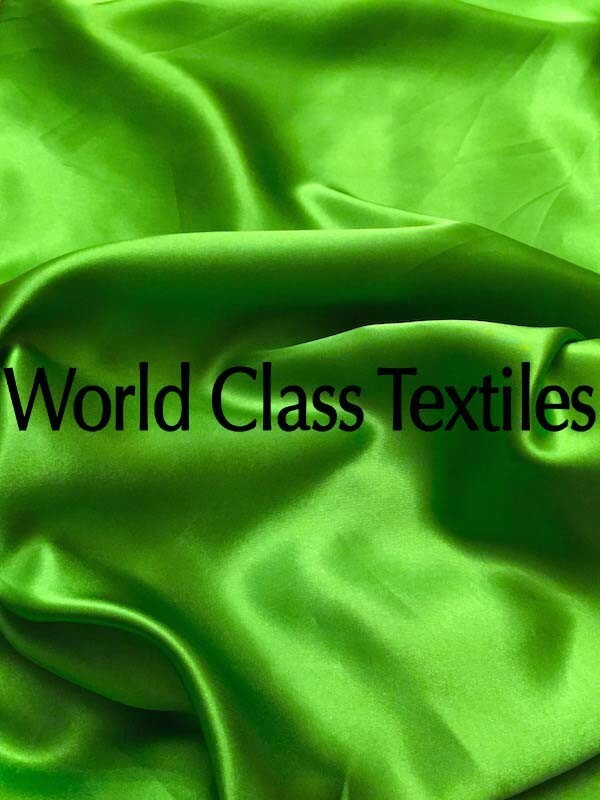 Because of its elegant draping character, is highly suited for lingerie, flowing evening gowns, bridal gowns, bridal party attire, drapey, and blouses. Charmeuse is also commonly used for event linens both as tablecloths, chair cover, and for draping around the ballroom.